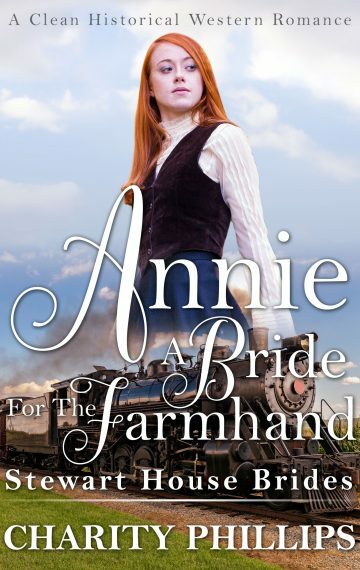 Annie O’Brien is a shy, but incredibly loyal waitress at the Stewart House restaurant. Devoted to her employer, she lives for the days when the restaurant is its busiest and there’s lots of work to be done. The nice thing about hard work, she quickly discovers, is that it helps keep her mind off of her broken heart. For the last year, she’s kept a well guarded secret, even from her closest friends: she was stood up at the train station where she was supposed to meet her mail order beau, James Prescott. That all changes when one day, out of the blue, a man by the name of Thackery Prescott shows up in her life. It turns out that this man is the same gentleman who had been writing to her, but his train had run into trouble and he was unable to meet her that day. Can Annie find it in her heart to forgive Thackery for his disappearance? Or will her loyalty to Stewart House cause her to turn down the only love she ever knew?